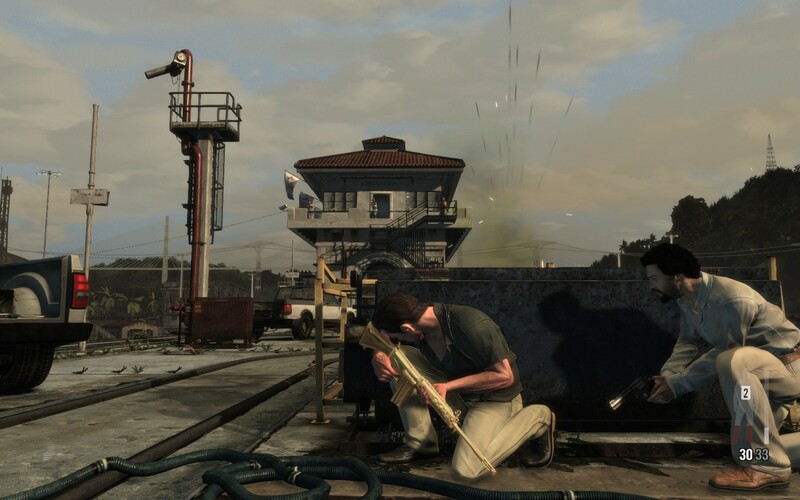 The Refined Geek » Max Payne 3: Trouble Just Can’t Stay Away From Him. 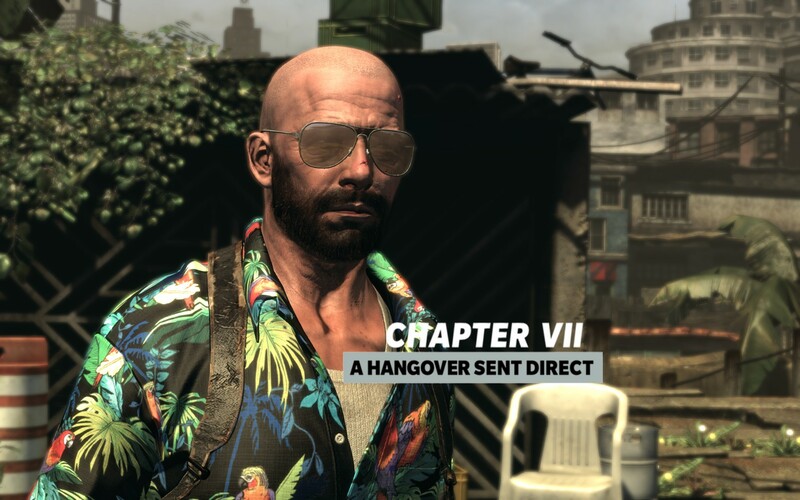 Max Payne 3: Trouble Just Can’t Stay Away From Him. This may come as something of a surprise but I missed the boat on the entire Max Payne series. It’s not like I wasn’t aware of the game, I can clearly remember playing through the opening scenes of the original, I just failed to play it through to its conclusion. The same can be said for its sequel which, being released a mere 2 years after its predecessor, wasn’t enough to grab my attention away from whatever else I was playing at the time. Max Payne 3 on the other hand grabbed my attention, partly because Rockstar was ballsy enough to release it on the same day as Diablo 3 but mainly because of the hype surrounding it. I figured it would be worth a look. Max Payne 3 takes place 9 years after the events of the previous installment in this series, seeing Max retired from his job at the NYPD. The events of the past decade haven’t been kind to him as the burning desire for revenge and justice has faded into a deep sense of self loathing. He spends his days now getting drunk and popping pain killers like they were candy when out of the blue Raul Passos, a man claiming to be one of Max’s buddies from the academy, offers him a security gig in Brazil. He resists at first but after becoming a mob target thanks to killing the son of a mob boss he reluctantly accepts and finds himself deep in the tumultuous world of Sao Paulo. 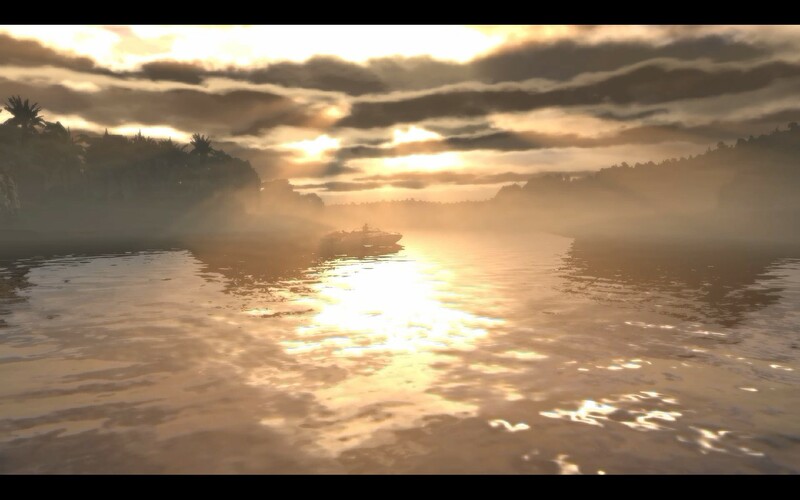 Right off the bat Max Payne 3 delivers with impressive visuals and cinematography. It’s not often that I’ll talk about the camera work in a game, mostly because there doesn’t appear to be much thought given to it, but the framing, angles and action movie feel that you get when playing Max Payne 3 is just incredible. It’s somewhat done out of necessity as a good chunk of the game, I’d wager somewhere between 30~50% of it, takes place in either in-game cutscenes or pre-rendered video. For me personally I loved it as it gave ample attention to both the main characters and the plot allowing them to develop beautifully. This is more impressive considering the long development time and several delays that Max Payne 3 underwent in order to get to this point. Max Payne 3 was confirmed as being in development in 2004 but it wasn’t until 2009 that it was actually announced. It then underwent a series of delays until it was finally launched just over a month ago, something that usually sees a game being released looking dated. Max Payne 3, whilst not being the pinnacle of graphical achievement, still fits well with similar titles that have been released in the past year or so. This is a testament to Rockstar’s development teams who’ve managed to pull similar miracles with other games like L.A. Noire. What really got me about the first Max Payne was the heavy use (and I’d say overuse) of metaphor that was a major part of Max’s internal dialog. It wasn’t necessarily a bad thing, it certainly helped with the game’s noir direction, but I personally found it tiresome after a while. Max Payne 3, whilst still being an incredibly dark story, does away with these metaphors and instead favors more direct dialog. It feels fitting as Max Payne 3 is more of an action-thriller type game where as its predecessors were better described as gritty noir cop dramas. I’m a big fan of action games so this sits well with me, but fans of the series might not like this change of tone. The core game is thrilling and fast paced but it has a strong strategic element that rewards a methodical approach. 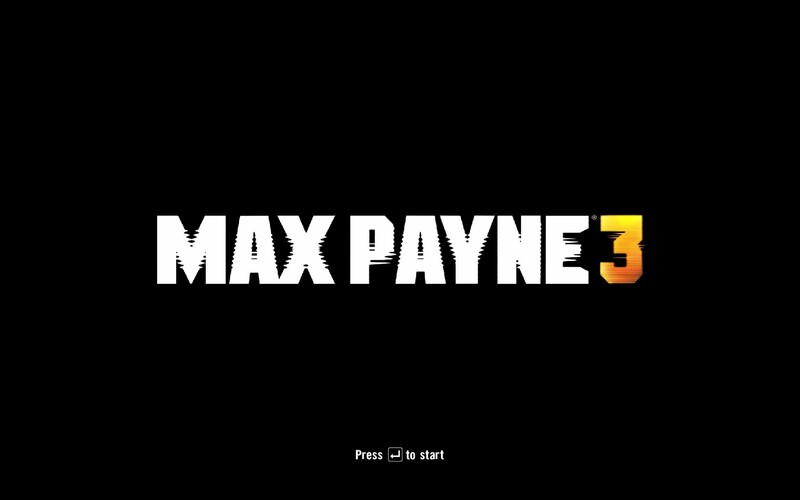 At its heart Max Payne 3 is your typical run and gun affair having you duck in and out of cover whilst you pick off enemies and advance forward. There is, of course, the tried and true bullet time mechanic allowing you to slow down time in order to pick off hordes of enemies that would otherwise mow you down before you got a single shot off. Indeed the tactical aspect of the game relies heavily on how you use your precious amount of bullet time to its maximum advantage, ensuring that at the end you’ve offed the maximum number of enemies without putting yourself in danger. There are also some RPG elements in the game that reward players who have that investigative streak in them. Scattered throughout each level are pills, golden gun parts and clues pertinent to the case you’re currently working on. The pills function as a sort of life system allowing you to either refill your health meter on demand or, and I think this is probably the better way to do it, allowing you to have a final chance at taking down the enemy that took you down which will then refill your health bar. The golden guns appear to be just another collectible allowing you to make certain guns be completely gold but with no additional damage or benefit that I could see. There might be some benefit to collecting the clues but apart from the bits of back story you get from them there’s no real reason to get them. Still these things make exploring the environment worth doing and it certainly didn’t feel like a waste of time. It’s not exactly a trouble free experience though. For some reason Max loves his trusty 1911 so much that if there’s a cutscene he’ll switch over to it regardless of whatever gun you picked up. This might sound like a minor quibble but there are some scenes where gun choice can make or break an encounter and having to switch back loses you precious seconds. There’s also the times when he inexplicably drops a gun between encounters, leaving you with the default weapons and having to play the ammo conservation game again. Again seems minor but when you have to play the same scene a couples times over until you get it right these little frustrations do start to build up. Max Payne 3 also seems to be the only game in the world where picking up a gun with a laser sight attached to it makes you less accurate than not having one at all. You see with your default targeting reticle you have no kick back and the bullets land exactly where you aim them. With a laser sight your aim suffers from wild kick back and at medium to long distances you can’t even make the dot out meaning you’re basically spray and praying the whole time. It’s not really a problem until late in the game when everyone seems to be packing laser sights and you have no choice but to pick up one of their weapons. That did make some of the final scenes far more frustrating than they should have been. There’s also some sections where no matter how many pills you’ve got left over that you’ll get instantly one shot. This is fine in some circumstances, like when you’re trying to guide a player away from one area, but when it’s a part of a boss fight that’s not particularly obvious (the one in the police station comes to mind) getting one shot only serves to break your immersion as you try to figure out just what the hell you need to do to progress to the next scene. Thankfully these kinds of encounters weren’t common and most of them could be overcome with a little bit of planning and clever use of bullet time. 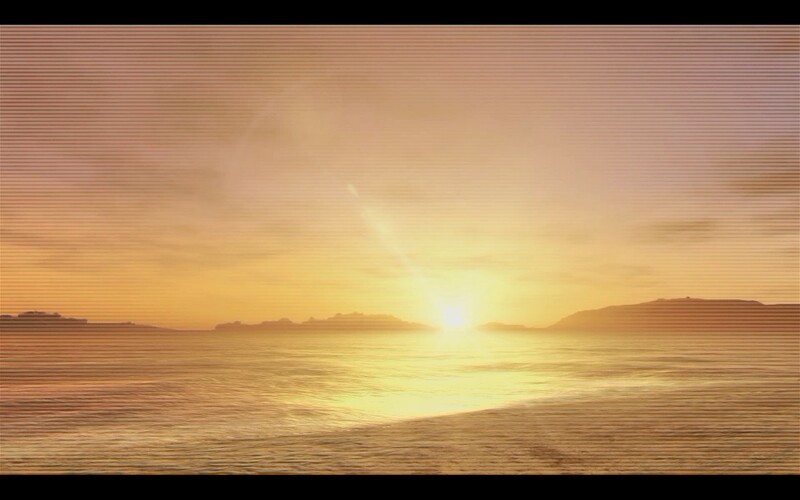 However for all these little irritations the story of Max Payne 3 is what brings the game together. I might not be a long time fan of the series but I readily empathized with Max and his motivations, even if I didn’t identify with his self-destructiveness early on in the game. The plot, whilst being semi-obvious after about an hour or two in (although I will admit I identified the wrong character as being the protagonist), is more than enough to carry Max through a torrent of bad guys, explosions and ludicrous situations. You’re not going to find any deep meanings here but I felt it was enough to keep me planted in my seat for the majority of Max Payne 3. I really didn’t know what to expect when I came into Max Payne 3 and I think that lack of expectations is what led me to be so pleasantly surprised by what it had to offer. 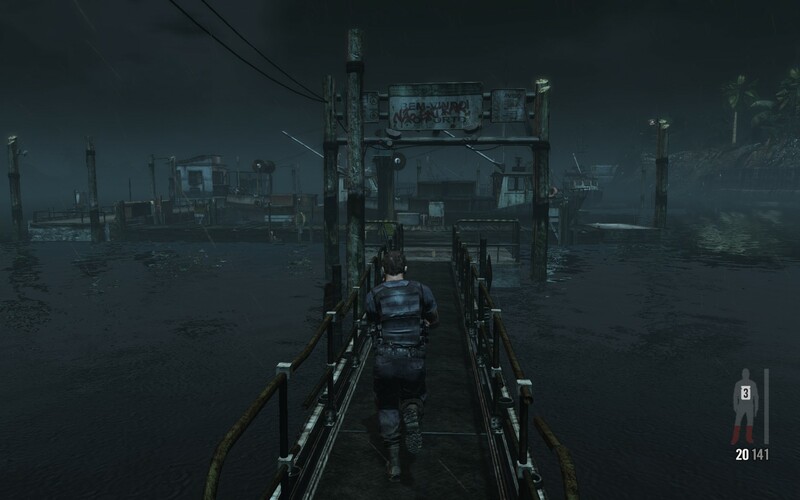 Thinking back to the little experience I had with the original I get the feeling that people who’ve played through its predecessors might not like the change in overall tone that Max Payne 3 takes but for people like me who are basically new comers to the series there is a lot to love in this most recent installment. If you’re a fan of games that are heavy on action with a story that doesn’t feel like it was written by the developers then Max Payne 3 will definitely be a game you’d enjoy and I’d definitely recommend you give it a play through. Max Payne 3 is available on PlayStation 3, Xbox360 and PC right now for $78, $78 and $89.99 respectively. Game was played entirely on PC on the hard difficulty with around 7 hours of total play time.